We Are An Iso 9001:2008 Company. Standards And Design Specifications Are Replicated With Fanatical Care. 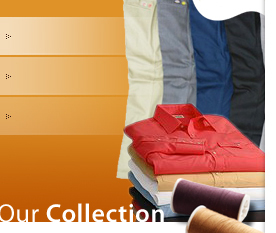 Our Team Comprising Of Personnel Trained In 'Garment Manufacturing Technology' Maintains A Strict Vigil On The Quality. They Inspect Each Style Before It Goes On To The Production Line, Examining Every Requirement From Sewing To Packing. An Operation Breakdown And Machine Specification List Is Prepared For Each Style. Here, Our In-House Quality Control Department Steps In. A Detailed Pre-Production Meeting Is Carried Out With Each Factory Before The New Style Is Located On The Lines. Post-Production, The Garment Goes Through Several On-Line, Pre-Final Inspections That Adhere To An Aql Of 2.5. This Ensures That The Product Manufactured By Us Is World Class. Lean Production Is An Assembly-Line Manufacturing Methodology Developed Originally For Toyota And The Manufacture Of Automobiles. The Goal Of Lean Production Is Described As "To Get The Right Things To The Right Place At The Right Time, The First Time, While Minimizing Waste And Being Open To Change". Sudar Garments P Ltd Is Now In The Process Of Adopting The Lean Production Method And Kaizen Promotion Teams Are Already In Place And Undergoing Required Training. These Teams Are Primarily Responsible For Implementing The Lean Manufacturing Process All Across The Manufacturing Units To Bring About The Required Results. This Process Involves Going Deeply Into The Manufacturing Activities And Adopting Holistic And Sustainable Approach That Uses Less Of Everything To Give Us More. © Copyright 2010, Sudar Garments Ltd. All rights reserved.